This image is NOT a painting. 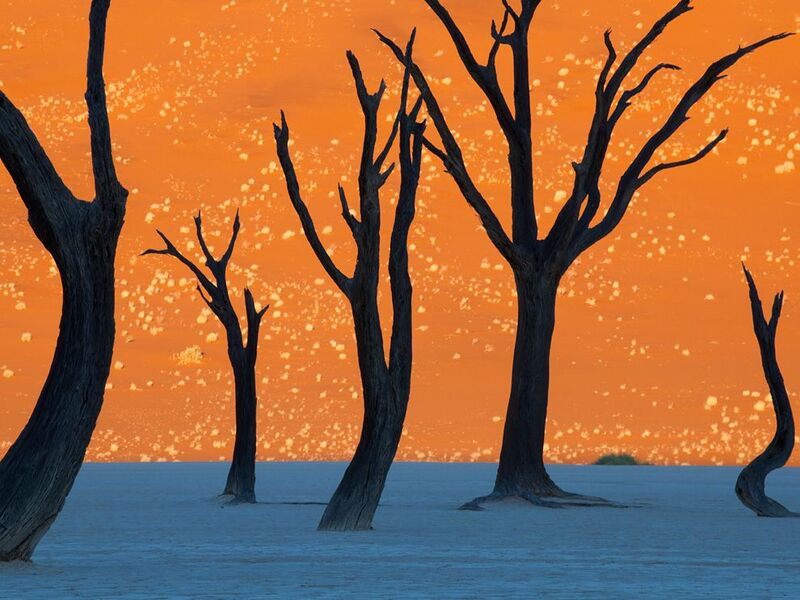 The photograph is of some camel thorn trees in Namib-Naukluft Parkin the Namib Desert in Africa. It is simply stunning.